Come along and join us for a varied running and circuit training session to suit all abilities followed by hot and cold drinks & delicious home cakes in the Central Cafe. We meet every Saturday morning at 10am just by the Clock Tower at the top (East) of Preston Park. Varied running and circuit training session to suit all abilities followed by coffee & cake. 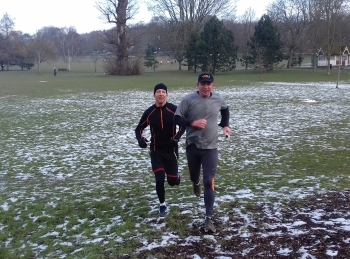 Brighton Frontrunners (in association with BLAGSS running ) regular mid-week running session on Wednesdays. 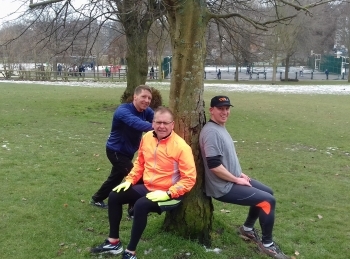 'The Brighton Frontrunners' group are now convening a regular mid-week running session on Wednesdays. BLAGSS runners are very welcome and there are different levels of intensity to suit all moods and levels .If interested please meet at the seafront bench in front of the King Alfred car park at 6.50pm for 7pm start on Wednesdays. Meet by the clock tower in Preston Park. Please arrive a few minutes early to be ready to run at 10:00 AM There are no changing facilities but someone will usually have a car for valuables if you do bring them. There is no charge to participate. 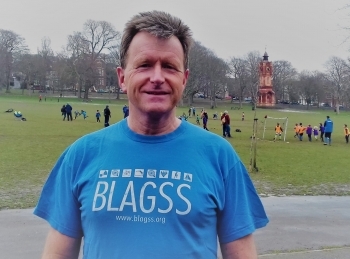 However participants must be BLAGSS members. If you are a BLAGSS member, please log in to register your interest in the next session, if required. If you are not a member, please email running@blagss.org for more information.